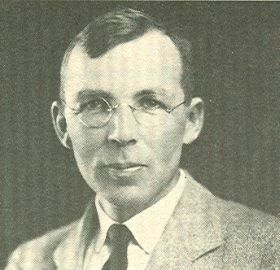 Philip Langdon Alger was graduated from St. John’s College of Annapolis, Md., in 1912 and from the Massachusetts Institute of Technology in 1915 with a B.S. degree in electrical engineering. He earned the M.S. degree from Union College in 1920. St. John’s awarded him an honorary M.A. in 1915, and the University of Colorado an honorary Doctor of Engineering degree in 1969. He worked for the General Electric Company as a designing, staff, and consulting engineer until his retirement in 1959. From 1959 to 1969 he was Consulting Professor of Electrical Engineering at Rensselaer Polytechnic Institute. The author of more than 100 technical papers and three books, Mathematics for Science and Engineering, Induction Machines, and The Human Side of Engineering, he edited the book, The Life and Times of Gabriel Kron. In 1959 he received the Lamme Medal of the A.I.E.E. Philip Alger was a man whose courage, foresight, and engineering ability brought many important innovations to electric power during the first half of this century. In 1894, the year Alger was born, Steinmetz, Michael Pupin, and others engaged in extensive discussions of the merits of the induction motor. 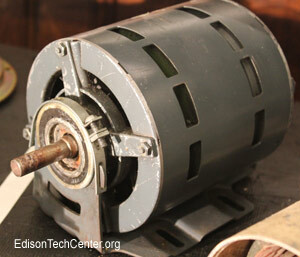 It became the role of Philip Alger, engineer and mathematician, to further unravel the mysteries of the induction motor. Alger's General Electric career began in 1919 after he had served as a lieutenant in the Ordnance Department of the U.S. Army. His early work on motor reactance produced, first, induction motors, and then synchronous motors capable of direct, across-the-line starting, greatly simplifying motor controls. His 1928 AlEE paper, "The Calculation of Armature Reactance of Synchronous Machines," remains a classic in the annals of rotating electric machinery. In 1929 Alger was appointed to the staff of the vice president of engineering to sponsor and coordinate developments in electric apparatus throughout the General Electric Company. He became a leader in professional engineering societies, in industry-wide standardization in education, and in local government, as well as in technology. He was impressed by the observation that men are creatures of habit, and he realized that one must first have the wisdom to recognize what is sound and then have the courage to propose it, even when this means breaking with tradition. Alger saw clearly that for the greater expansion of electrification in industry, motors must be made smaller and lighter in weight for the same output. This task required the critical examination of many traditions in design engineering and among motor users. His many published papers give only a glimpse of the extent of his contributions as a worker and leader of the committee and working groups of AlEE and ASA which led ultimately to the adoption of a succession of new NEMA standards for motors in the 1940s. 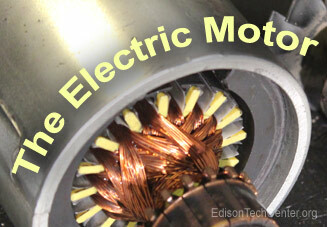 Motors built to those standards weighed less than a third as much as their predecessors of the late 1920s. They were quieter and did their jobs as well or better. Throughout his career, Philip Alger has paralleled his technical work with equally vigorous pursuits in other areas. He said with pride that he tried never to refuse an invitation, the advice of Benjamin Franklin. This brought him to the fields of professional and ethical standards for engineers, engineering education and recruiting practices, and local government, all of which have enriched the lives of others as well as his own. His career truly epitomizes the complete professional engineer. Philip Alger died in Schenectady in September, 1979.